A room with a view. This week’s snapshot was taken by Michael Mahaffie, principal planner for the Delaware Office of State Planning Coordination. 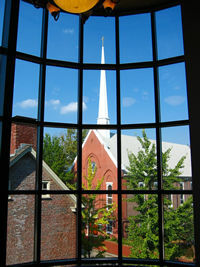 The photo depicts a view of Dover’s State Street from the grand stairway of the Schwartz Center, a refurbished old downtown theatre that has been converted into a performance art and conference center as part of town’s downtown revitalization.